Compliance for the average employee of the organization has been confusing and disconnected from what they do. Too often they see compliance activities as a burdensome task that gets in the way of real work with no real value provided. Compliance is only as good as the front-line understanding, participation, and alignment with it. It is no longer enough to have the right compliance documentation and incident reporting; organizations have to show compliance is a part of the organization’s operations and processes. This requires employee engagement in compliance. Convercent’s Disclosure Manager is a GRC solution that GRC 20/20 has researched, evaluated, and reviewed with organizations that are using it in distributed and dynamic organization environments. GRC 20/20 has evaluated and verified the innovation in user experience found in Disclosure Manager and sees this as a compelling offering for compliance programs to more effectively manage disclosures than they have in the past. It delivers an intuitive and engaging user experience that makes compliance processes more efficient, effective, and agile. In this context, GRC 20/20 has recognized Convercent’s Disclosure Manager with a 2015 GRC Innovation Award for the best user experience in Compliance Management in 2015. Have a question about Convercent or compliance management? 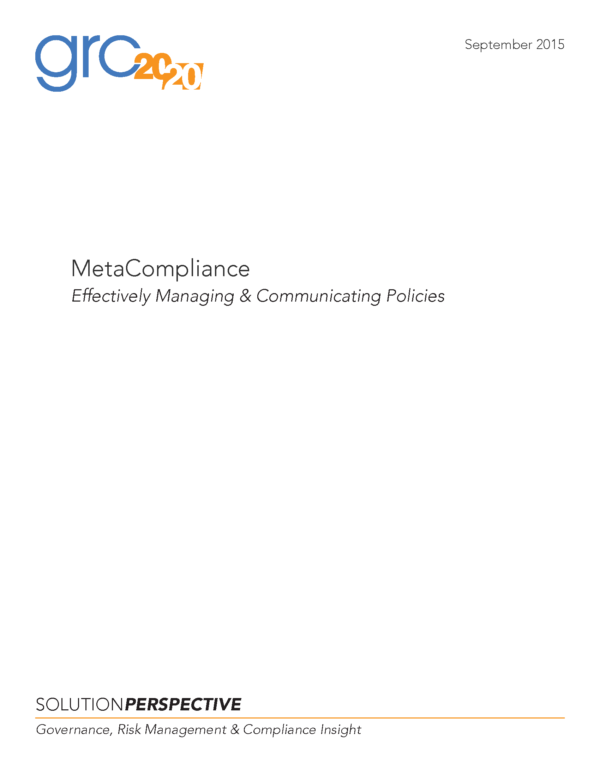 [tabs style=”default”] [tab title=”Executive Summary”] Compliance for the average employee of the organization has been confusing and disconnected from what they do. Too often they see compliance activities as a burdensome task that gets in the way of real work with no real value provided. Compliance is only as good as the front-line understanding, participation, and alignment with it. It is no longer enough to have the right compliance documentation and incident reporting; organizations have to show compliance is a part of the organization’s operations and processes. This requires employee engagement in compliance. Convercent’s Disclosure Manager is a GRC solution that GRC 20/20 has researched, evaluated, and reviewed with organizations that are using it in distributed and dynamic organization environments. GRC 20/20 has evaluated and verified the innovation in user experience found in Disclosure Manager and sees this as a compelling offering for compliance programs to more effectively manage disclosures than they have in the past. It delivers an intuitive and engaging user experience that makes compliance processes more efficient, effective, and agile. 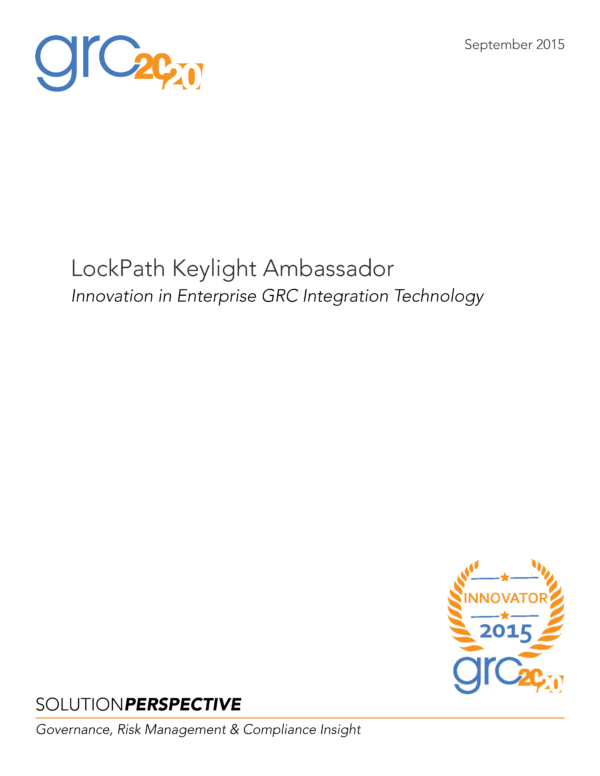 In this context, GRC 20/20 has recognized Convercent’s Disclosure Manager with a 2015 GRC Innovation Award for the best user experience in Compliance Management in 2015. How is Convercent’s Disclosure Manager Innovation Different?